My name is Mathias, I'm from Germany and new at this place. 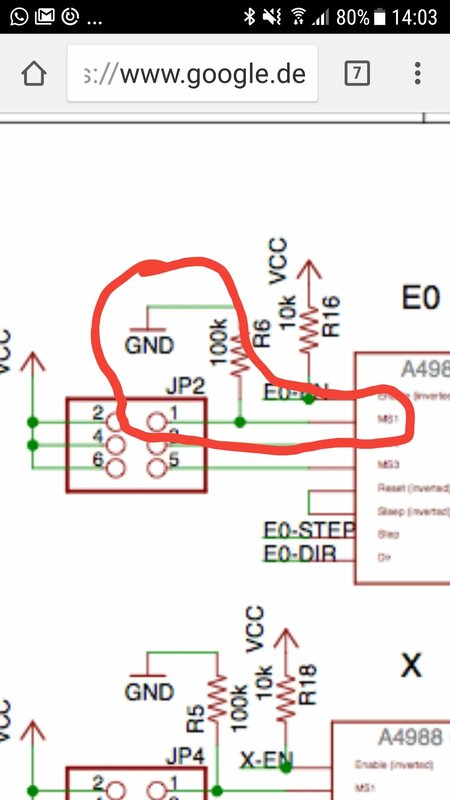 Maybe it's a dump question, but how can I use the tmc2130 without the spi interface in stealthchop? The board i use at the moment doesn't have that AUX pins... In future I will buy one that has the pins, but now i have to work without the spi. 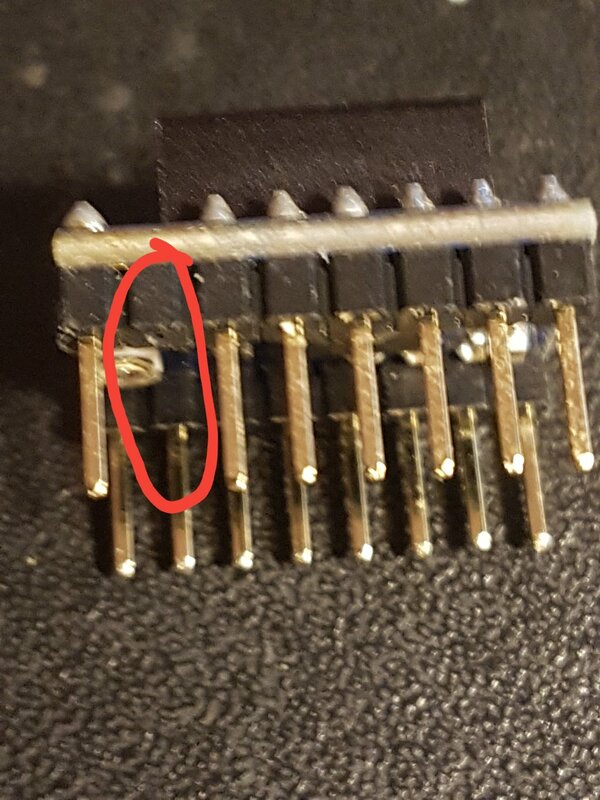 Do I have to solder all forteen pins to the tmc2130 and just plug it in, or leave some out similiar to the tmc2100? And what's to do with the three jumper connectors on the chip socket? Am I right that all have to be removed? Depends which TMC2130 sou have. 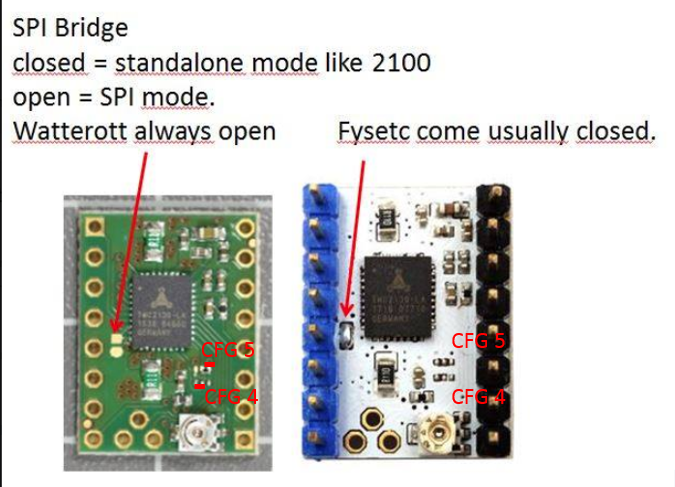 If Watterott you have to close the SPI solder Bridge in order have them in standalone. 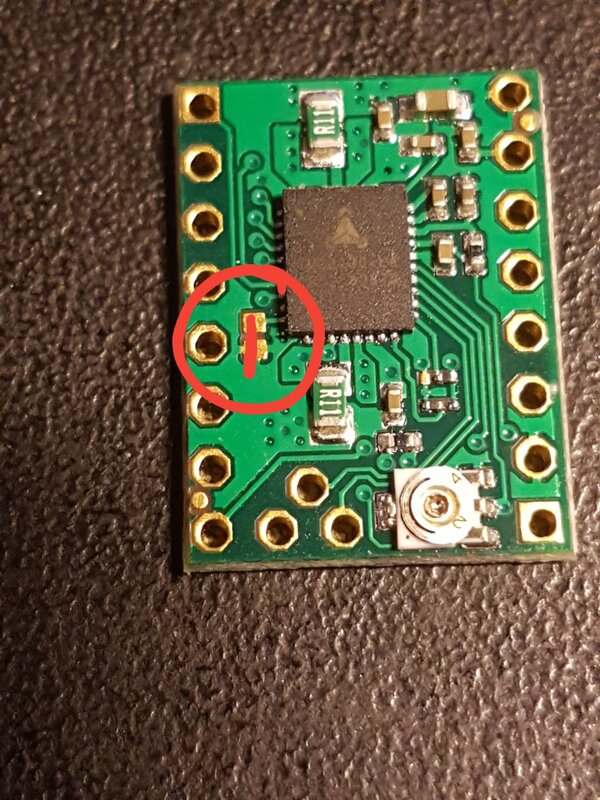 In order to have stealthchop in standalone enabled if the pins are already presoldered you have to cut or desolder the CFG1 pin. 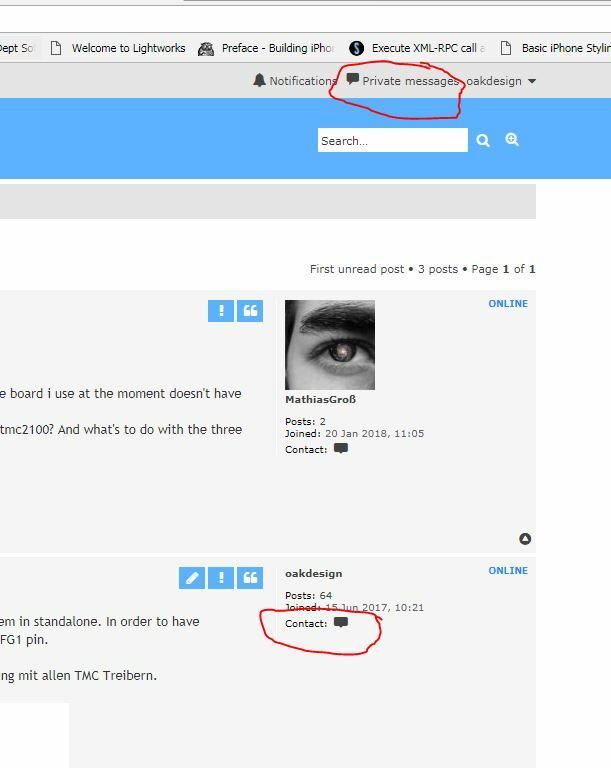 Kannst mich auch per PN in Muttersprache kontaktieren ich habe schon über 6 Monate intensive Erfahrung mit allen TMC Treibern. I have the tmc2130 from watterot. So If I understand it right, I have to solder the both standalone Pins together and left the cfg1 Pin unused. The Jumpers can stay in place then? Hi, I had set the tmc like on the pics, but he and the stepper motor made a very high sound, so I shut the printer of. After that I looked again on the schematics an layout files from watterot https://github.com/watterott/SilentStep ... 30_v11.pdf and thank to you I know now what standalone mode is ande how the pins work. In the schematics there is a table where you can see that for stealth mode CFG1 AND CFG2 have to be removed. I tried this and now there is NO SINGLE noise when the stepper motor works it's so smooth and silent it's incredible! CFG2 PIN does not have to be removed. As it connects to the MS2 Bridge. If no Jumper is on the MS2 on the board the pin is left open. Mhh...the Jumpers are All in place. I had Just solderd the standalone Pins together and left the cfg1 Pin Open. Thought that's stealthchop? But Than there was that high Sound. As I left the cfg2 Pin Open too, the Stepper moves silent. If you would have removed all jumpers from the Board MS2 and MS3 are open = connected to nothing and in consequence CFG2 and CFG3 as well. Only MS1 Jumper is different if the Jumper is removed as my schematics schows above it connects MS1 to GND and therefore if the CFG1 header pin is in place CFG1 is connected to GND as well which results into spreadcycle mode with 1/256 interpolation. Okay...to be honest I'm not good at those things^^' thanks for your patience. 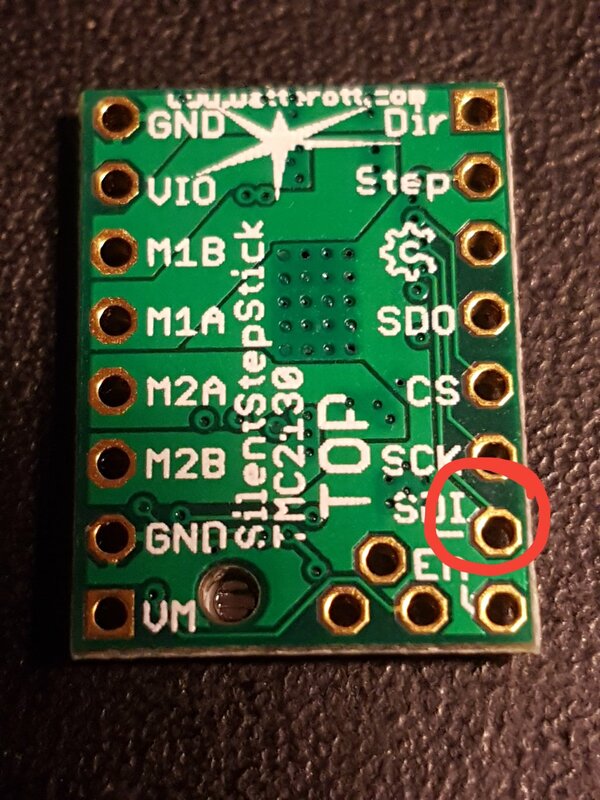 So I Have to add the cfg 2 Pin again to the chip, but remove all Jumpers on the board...and if I add the Ms1 Jumper alone, the chip goes in spreadcicle?